Some relief for the hard-pressed regional foodservice industry with news that more consumers saying they are eating out. According to a recent survey 71% of respondents have eaten out in the past two weeks, up from 69% over the same period last year. The Eating Out-Look survey by Horizons’ was conducted online by YouGov amongst 2,194 consumers. It found that recovery in the frequency of eating out was, for the first time, noticeable outside London with strong growth in Wales, the North and the East of the country. YouGov quizzed consumers on their eating out habits in the previous two weeks over the Christmas period. It showed that on average respondents had eaten out 1.94 times, up from 1.8 times a year ago. Respondents who had eaten out spent an average of £14.48, including drinks, up from £14.41 last year. Consistent with previous surveys consumers spent more when they dined out over the Christmas period than they did during the summer months, when the average spend was £12.72 . Eating Out-Look also revealed that the number of respondents using more formal venues such as restaurants and pub restaurants had risen slightly. Some 51% of eating out was accounted for by these venues, compared with 47% six months ago. JD Wetherspoon was the most commonly cited venue of respondents who had eaten in a pub restaurant (14%), with Brewers Fayre (8%) and Harvester (7%) second and third respectively from a given list. With the survey covering Christmas, some 31% of respondents cited a special occasion as a reason for eating out, compared with 21% who gave this as their reason for eating out in June 2014. Meeting friends was the second most commonly mentioned reason for eating out at 26%, a similar figure to that of six months ago (26%). Convenience was mentioned by 23%, down from 27% six months ago. Average spend on eating out increased across all age groups, apart from those aged over 55 years (£13.84 this year, compared to £15.78 last year), but was particularly noticeable in 35-54 year-olds (35-44 year olds increased from £15.19 to £15.94, and 45-54 year olds increased from £14.11 to £15.28). While 25-34 year olds were the age group most likely to have eaten out in the previous two weeks (80%), 75% of respondents aged 35-44 had done so compared with 68% last year. Amongst young people aged 18-24 the percentage dining out had dropped year-on-year from 81% to 73%. 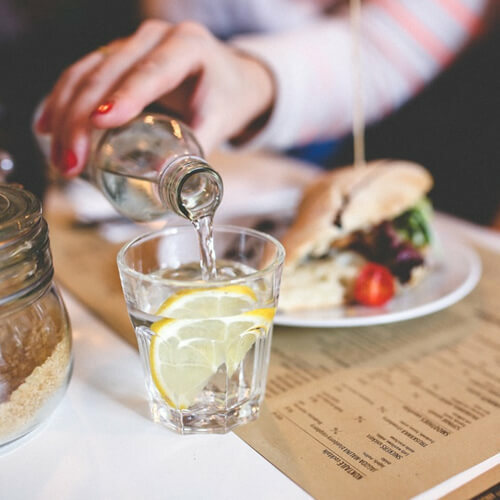 The survey results suggest that any increase in eating out is being driven by those on higher incomes (ABC1s) of whom 76% reported eating out in the previous two weeks, compared with 73% last year. In Britain’s regions, the biggest recovery in eating out was demonstrated by survey respondents in the North, where the number eating out in the previous two weeks had risen from 70% to 73%, and the East, where the percentage rose from 64% to 75%. Respondents in these areas, along with the South (72%), reported eating out more often than respondents in London, of which 71% had eaten out in the previous two weeks. Wales also saw a large hike, with 71% of respondents saying they had eaten out in the previous two weeks, compared with just 61% who had done so 12 months ago. Fewer respondents in Scotland reported eating out, however, 64% compared with 67% last year.